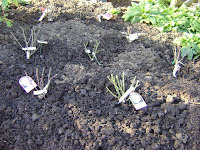 First sunny weekend for seven weeks and the roses are finally planted. Signs of spring in my garden. 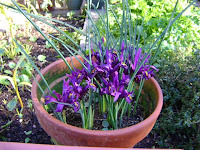 These mini iris are gorgeous. Hopefully next weekend will bring some more nice warm weather.